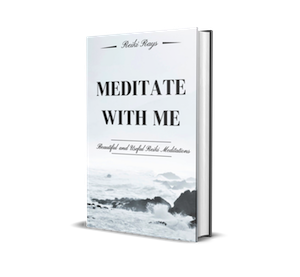 I was already a meditator when I decided to take my first Reiki class, so I knew the value of meditation in releasing unhealthy and illusory thought patterns and opening the mind to a more expansive and clear way of understanding things. The day of my first class, I came home and sat in meditation observing the new ways that energy moved through me after the Reiki attunement and the enhanced way I could sense and see energy around me. It was my first meditation on Reiki energy and it was the beginning of an important journey on my Reiki path. 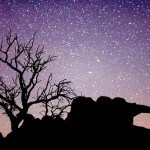 I have come to see that mediation and Reiki are very close companions in our self-healing journey. Using Reiki as a system of hand placements for healing is wonderfully helpful and should be practiced daily. But it is also very important to spend some time each day meditating on the Reiki principles and to notice how the energy feels as it moves within us. If you are level 2 or above, it is important that you spend some time meditating on the symbols, as well. Meditating on the principles, the Reiki energy, and the symbols starts out as a method of understanding more about Reiki, but over time you will realize it is also a way in which you learn about life and about your inner self. You come to learn more about your connection to Source or God through these practices. Ultimately, this is part of the self-healing practice of Reiki. None of this needs to be very complicated and each person can find the method that feels the most appropriate to them. The important thing is to have some time in which you explore the ways that these things feel to you and what meaning they have in your life. There are several methods that have worked well for me over time. By using your imagination, you will likely be able to come up with one or more that is well suited to you. Spend a minute or so contemplating one or more of the Reiki principles at the beginning of each self-Reiki session. Rather than reciting the principles through rote memory, really take a moment and notice how you feel about them and what they might mean in your life. For example, what lies underneath anger or worry for you? In what way do you typically respond to these emotions, both internally and externally? You might also contemplate how the principles support each other and how they can best support you in your growth and healing. During self-Reiki, notice the way Reiki moves within you. Contemplate the Source of Reiki energy. How do you see that? How does it feel to you today? You can also use the time while you are practicing self-Reiki to contemplate the principles, or the symbols. Set aside a specific meditation time just for Reiki contemplation. 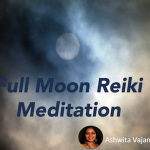 Perhaps you can set aside a 5-10 minutes session each weekend just for focusing on one or more Reiki symbols or the principles, or some aspect of Reiki that has come into play in your life over that past week. Some of my favorite ways to contemplate and meditate on Reiki are in the shower, as I drive or as I do housework. These activities are relaxing and meditative to my mind and I find that whatever I am mentally focused prior to starting on seems to become clearer as I am performing the task. Maybe you have a similar task or hobby that allows your mind to relax and see more clearly. Journal about the principles. This can also work well for contemplating the Source of Reiki. Journaling about what you discover can be very helpful. Writing is a wonderful way to help us explore our inner world and it leaves a record for us to return to later. Please keep in mind as you do you meditation practices that there is no right or wrong way to do this. You don’t have to sit on the floor cross legged—or sit at all! Go for a walk or a run, if that feels better to you. The idea is to spend some time contemplating these things and learn what they mean in your life. There is no right or wrong answer for what you will find, either. In fact, it will change over time as you learn more about yourself. Some days you may find it very challenging and it may even bring up anger or other emotions. This is all part of your own healing process, so I encourage you to continue returning to it, despite any difficulties. The rewards are worth it. I always thought meditation as quieting the thought pattern & no thoughts during meditation. Then I wonder why I wasn’t getting any message from higher self or guides. I was blocking my thoughts. I was thinking I’m not able to meditate. Why is it so easy for everyone else & I’m struggling. But this is not so. Meditation is focusing on self & receiving whatever comes through.